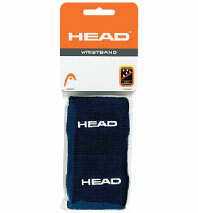 Head-brand wristbands keep your grip dry, minimizing racquet-tossings ($4.99 for two at Sports Authority, 845 Third Ave., nr. 51st St.; 212-355-9725). A white mesh cap cools your entire head and wicks sweat (Brooks HVAC cap, $20 at Paragon Sports, 867 Broadway, nr. 18th St.; 212-255-8036). Drawn-out matches require dry, tightly woven socks to support arches (New Balance Second Skin Racer Sock, $10 at Paragon Sports). 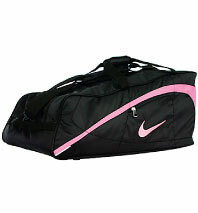 A good racquet bag will also cart flip-flops, wallet, keys, iPod, snacks, and water (Nike bag, $40 at Grand Central Racquet, 341 Madison Ave., nr. 44th St.; 212-292-8851). Plain rubber bands are just as shock-absorbing as name-brand vibration dampeners ($4.29 for a rubber-band ball at Staples, 535 Fifth Ave., nr. 44th St.; 646-227-0585). It seems obvious, but yellow balls show up best against red and green courts (Dunlop can, $2.29 at Kmart, 250 W. 34th St., nr. Eighth Ave.; 212-760-1188). Surgical tape stays put better than Band-Aids (Johnson & Johnson Coach Sports Tape, $13.99 for four rolls at Walgreens, 1328 Second Ave., nr. 70th St.; 212-734-6076). Neutrogena’s Sensitive Skin Sunblock SPF 30 doesn’t sting when it drips into your eyes ($11.49 for four ounces at Duane Reade, 358 Fifth Ave., nr. 34th St.; 212-279-0208). In between games, an all-cotton towel keeps you dry (fourteen washcloths, $9.99 at Bed Bath & Beyond, 410 E. 61st St., at First Ave.; 646-215-4702). Tennis sneakers have a wide base that helps prevent sprains. White soles, of course (Women’s New Balance WCT1003, $94.99 at Golfsmith Golf & Tennis, 641 Lexington Ave., nr. 54th St.; 212-317-9720; men’s Nike Air Zoom Vapor V shoe, $115 at Niketown New York, 6 E. 57th St., nr. Fifth Ave.; 212-891-6453).